IT support costs money – we all have to earn a living! If you’ve got an internal IT support person or team then you pay their costs. If you’re a smaller organisation you probably don’t need a full-time support person, which is where outsourced services come into play. If you have more than one or two staff you’ll find that you need help from time to time in setting up new equipment and integrating it into the existing network, sorting out technology glitches when ‘the computer says No’ and giving you advice on the best way to develop your network to give you the IT your company needs as it grows. That probably means a regular contract covering an agreed number of hours each month. But what happens when the agreed hours are all used up and it’s nowhere near the end of the month? If cash flow is tight it can be tempting to try and do things for yourself. So if you’ve decided to rearrange the office and move some of your IT equipment around, being careful about labelling leads and plugging everything back into the right slots will do the job – won’t it? Unfortunately, it may not be that simple. If a network has been set up the cables are installed with a specific configuration in mind. If the network cables are unplugged you could find that plugging them into a new location simply won’t work. 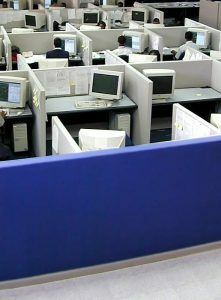 If computers are moved to a new location and the network has been configured to recognise security access codes at specific locations – trying to get into the system from the new desk could be met with ‘unauthorised access’ messages. The outcomes are that work stops as people are unable to get things to connect and it often takes the IT support people, when they are eventually called in to sort everything out, more hours than it would have done to do the equipment relocation in the first place. It’s a bit like tinkering with a car engine to save garage costs. Unless you know what you’re doing you end up with a car that doesn’t work, potential safety hazards and a bigger garage bill. Is it really worth it?